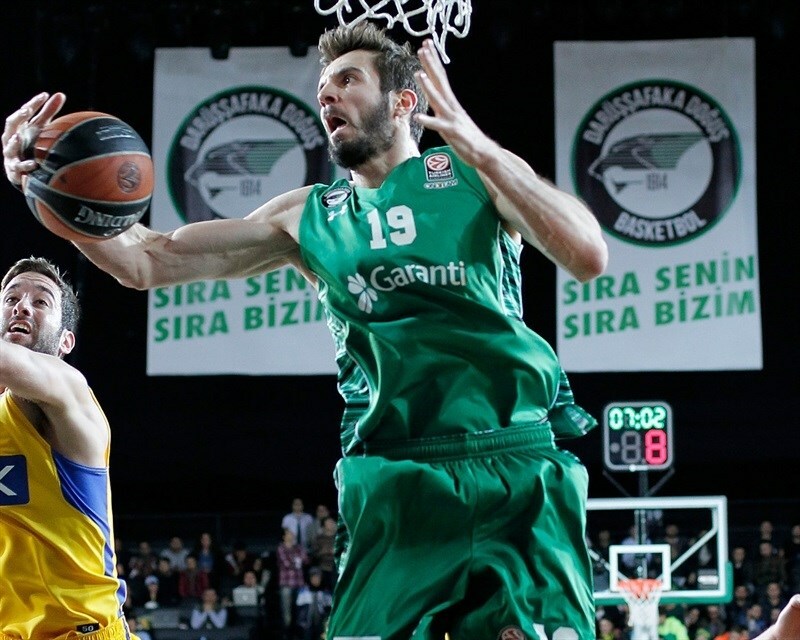 Darussafaka Dogus Istanbul was the real winner on Thursday even though it lost a close game. 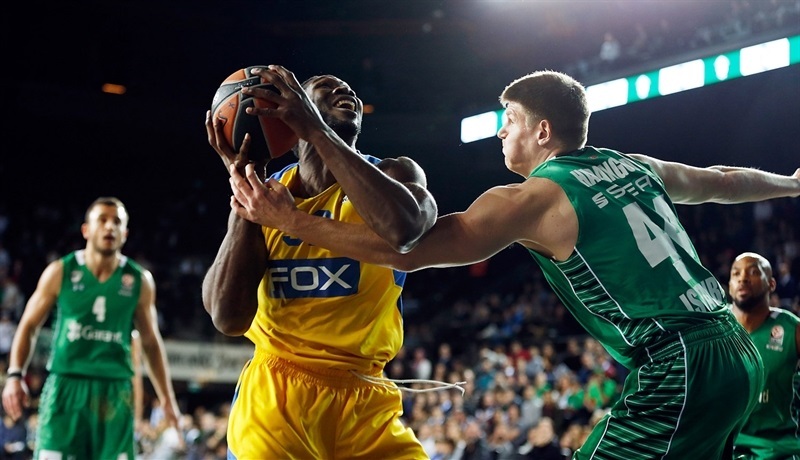 Maccabi FOX Tel Aviv defeated the Euroleague newcomer 66-70, but it wasn’t by the necessary margin; Maccabi needed to win by at least 11 to advance. 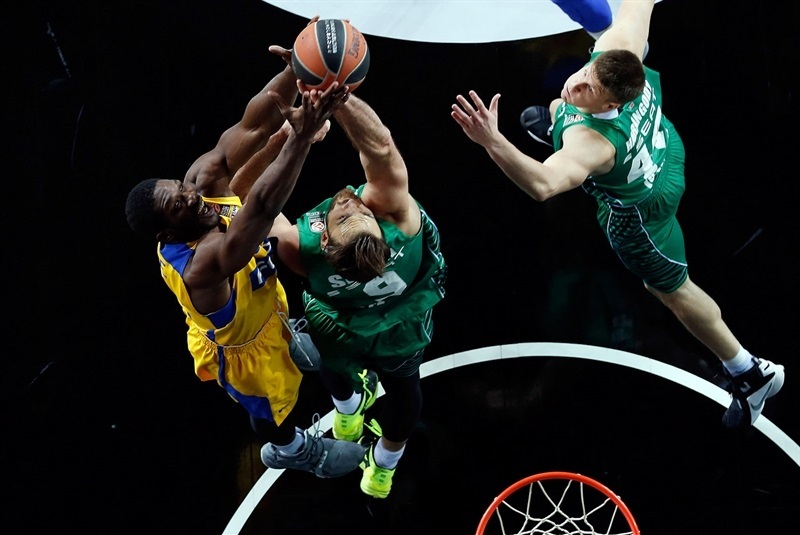 As a result, both teams finished with 4-6 records, but Darussafaka placed fourth and went through, while Maccabi is fifth will instead play the Eurocup Last 32 for the first time. Maccabi threatened and led by as many as 6 points in the third quarter, but a 13-2 start to the fourth put the hosts up 62-52. 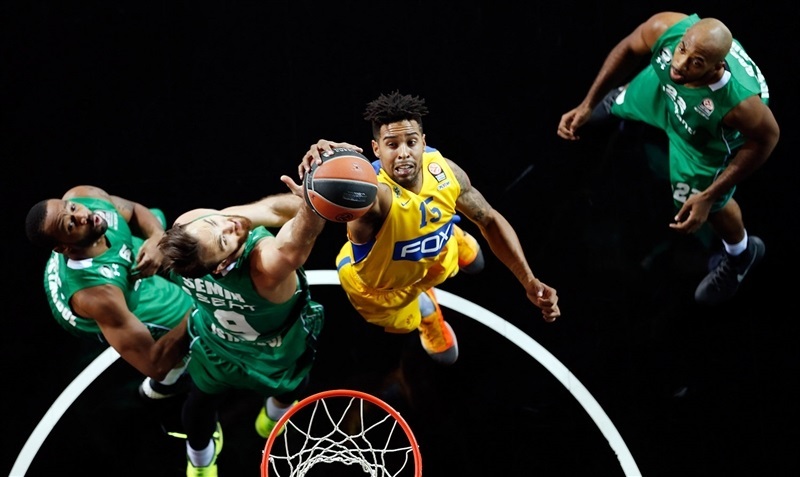 Maccabi rallied back in the closing minutes and knowing that it couldn’t reach the necessary margin by the end of regulation, played for a tie to force overtime. The visitors intentionally missed shots, but when Reggie Redding went to the line with 19 seconds left, he intentionally made only 1 to ensure the game would not be extended. 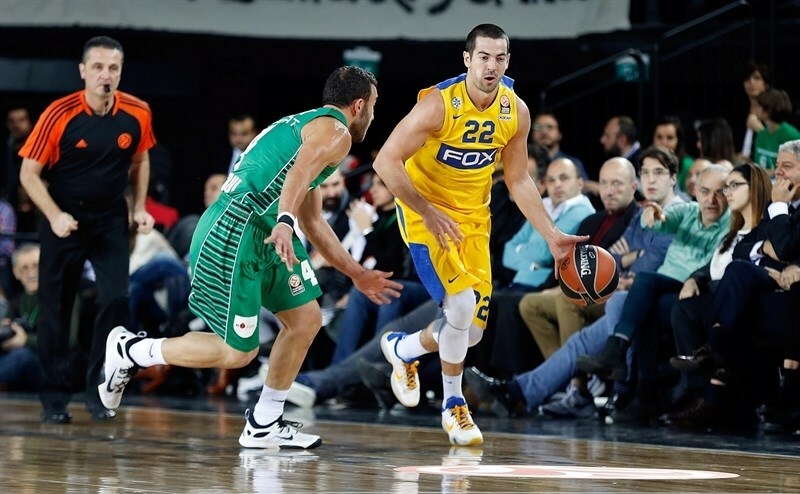 Taylor Rochestie’s triple won the game for Maccabi, but it proved to be a pyric victory. Sylven Landesberg paced Maccabi with 14 points, Jordan Farmar scored 13, Rochestie 12 and Trevor Mbakwe posted 9 points and 10 rebounds. 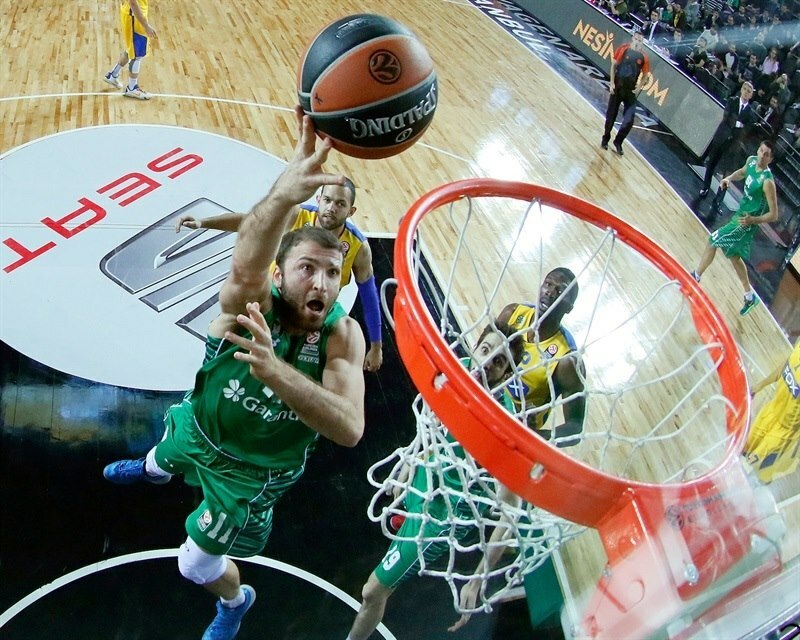 Furkan Aldemir led Darussafaka with 12 points, Jamon Gordon added 11 and Milko Bjelica 10. After a clock malfunction in the opening second created a delay, Rochestie sank a pull-up jumper and Luke Harangody nailed a three. Rochestie found Arinze Onuaku inside for a slam, but Harangody hit a baseline jumper and a three-pointer to give the hosts an 8-4 edge. Landesberg crashed the offensive glass for a put-back and foul. Jamon Gordon banked in a jumper and then scored a layup on the break to make it 12-7 midway through the quarter. Rochestie hit a jumper, but Gordon’s long three made it a 6-point game. After a Mbakwe jumper, Semih Eren got on the scoreboard with a spin move and slam. Rochestie netted a pair of free throws and Aldemir, fresh off the bench, took a pass from Scottie Wilbekin and dunked it. Landesberg and Guy Pnini hit back-to-back threes to tie the game at 19-19. Aldemir put the hosts back up with a tip-in and finished the quarter with a layup to make it 23-19. Farmar hit a three to close the gap, but Wilbekin impressed with a floater off the glass. Mbakwe found Brian Randle inside for an easy score, but Bjelica pushed the difference to 28-24 with a triple. 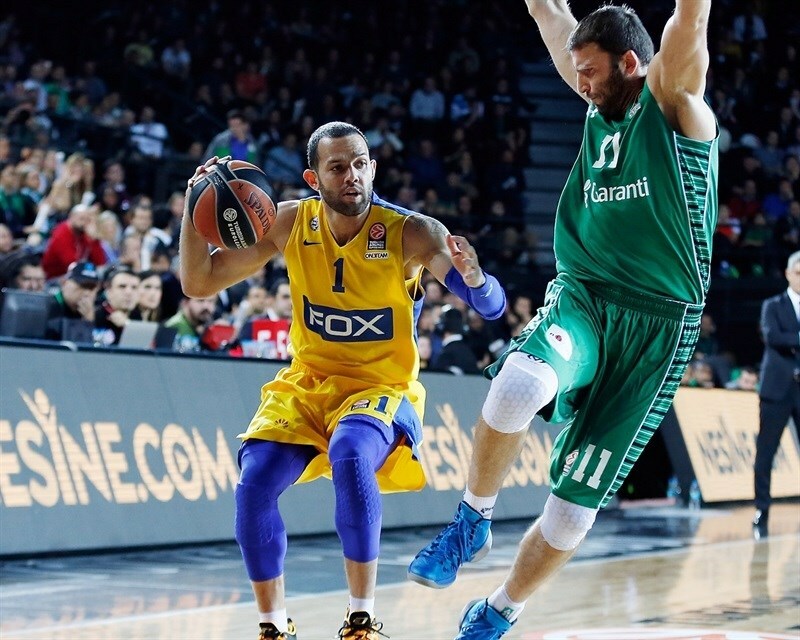 Aldemir finished a four-chance attack, but Farmar sank his second three. Another Aldemir put-back prompted a Maccabi timeout at 32-27. Onuaku put back his own miss and Farmar split free throws to bring the visitors within 2. 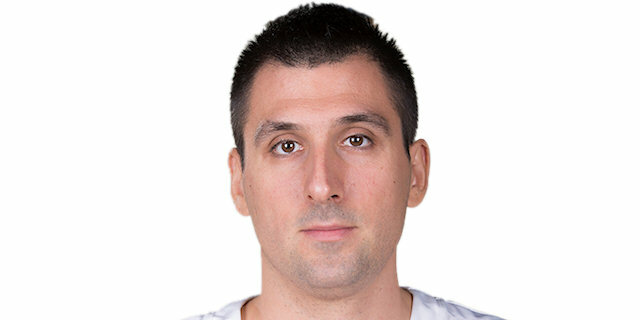 Ender Arslan connected from downtown for Darussafaka. Farmar drove for a baseline layup to keep the visitors close. Rochestie lobbed a pass inside for an Onuaku layup. Neither team scored for more than three-and-a-half minutes before rookie Itay Segev’s tip-in gave Maccabi a 35-36 lead. Yogev Ohayon added free throws to make it 35-38 at the break. A triple by Manu Markoishvili tied it, but Onukau overpowered Erden for a score and Landesberg spun on the baseline to make it 38-42. Devin Smith’s first points came on a one-hander in the lane that brought Maccabi within 5 of its goal. 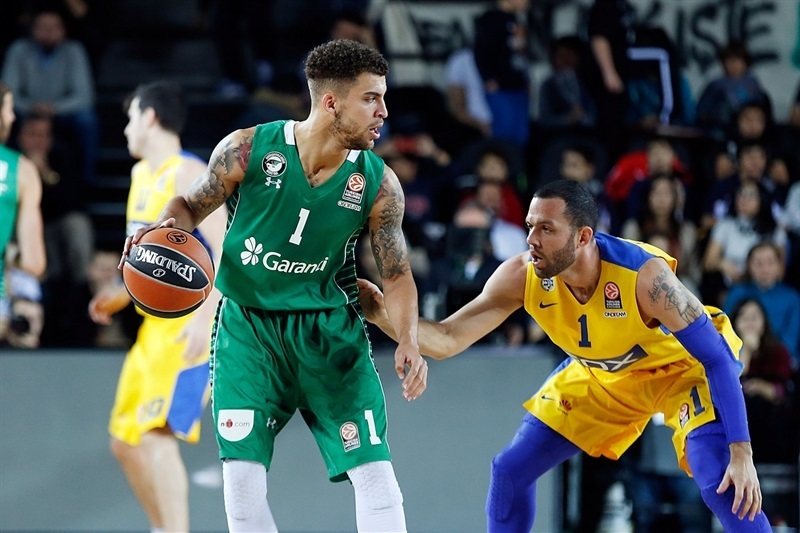 Wilbekin answered with a three-pointer and then went through the Maccabi defense for a layup that made it 43-44. Erden was called for an unsportsmanlike foul on Landesberg, who split the free throws and then hit a shot with his toes on the three-point line. After Gordon hit a baseline floater, Randle banked in a bucket. After a series of turnovers, Gordon’s steal and great pass to Reggie Redding made it a 2-point game. Randle split free throws and Bjelica made 2 to put 49-50 on the scoreboard. 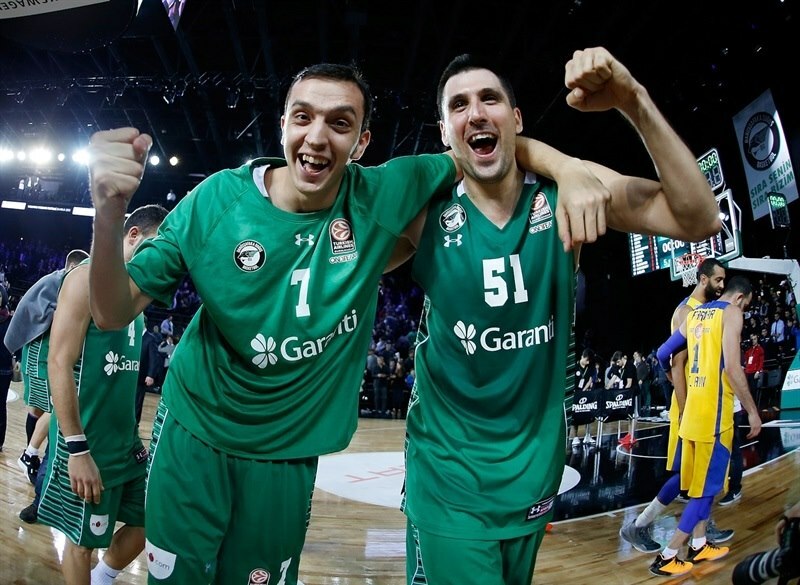 Back-to-back threes by Bjelica and Redding gave Darussafaka a 15-point cushion in respect to advancing. Redding added a free throw before a Mbakwe jumper ended a four-plus minute stretch for the visitors without a basket. After a Marcus Slaughter tip-in, the hosts got an Aldemir slam off an inbounds play and a Bjelica slam in the break to cap a 13-2 start to the quarter and give Darussafaka a 10-point lead. Farmer hit a jumper with less than five minutes left and Landesberg buried a three-pointer. Mbakwe added 3 free throws over two possessions to make it 62-60. After Wilbekin split free throws, Rochestie tied the game with a three-pointer. Mbakwe free throws capped a 1-13 run to put the visitors on top. Gordon free throws tied it again. 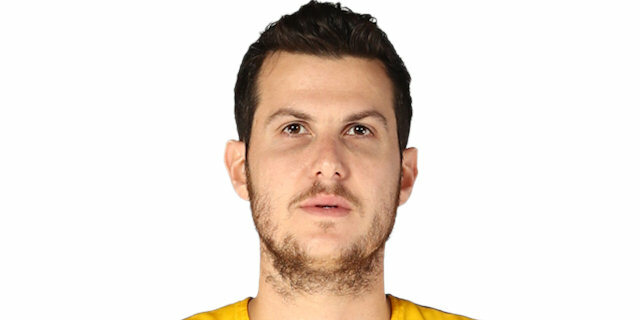 Maccabi chose to play for overtime. Farmar and Rochestie intentionally missed free throws to keep the game tied in the final minute. But after an offensive rebound by Redding, he made 1 free throw with 19 seconds left for a 66-65 lead and intentionally missed the second. 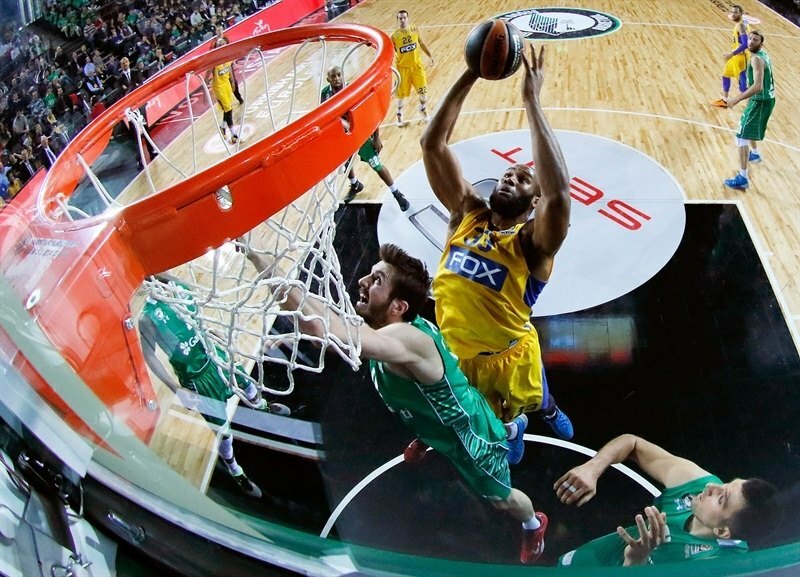 A Rochestie triple in the closing seconds won the game for Maccabi, but it would be a pyric victory. "I think the second half we played a really good game. We took the lead and I think at that moment we realized we had the lead by 10 points and we slowed down. At the end in the last minute they tried to do something different to catch the score and we did something different to not go to overtime. This club one year and a half ago was playing to enter the [Turkish] first division and now after just 18 months later is with the best 16 clubs in Europe. I think this is a great success for all of the people here. " 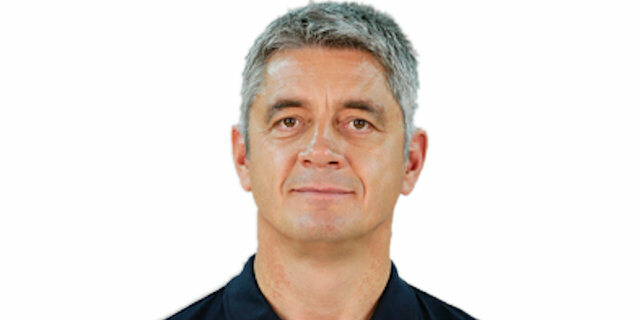 "I am very disappointed for the club and our fans, players and staff. They brought me to Maccabi with one of the goals being to reach the Top 16 and we didn’t do it. We suffered from injuries and not everyone was fit, but even if everyone was healthy it would have been difficult to win by 11. It is very difficult to be so dependent one making three-pointers and I have always said that, even after the last two games when we shot amazingly from behind the arc. We need to know how to score in different ways, but we don’t have too many different options on our roster. The target was to get the desired result, so at the end we tried to play for overtime. I’m not proud of that and I won’t do it again." "32 years I’ve never played this kind of game. In the beginning it was weird, but after we figured out the point difference and that the other team is trying to tie. I think we made a very good answer for this and we deserve this victory and Top 16. I can say that this was one of the goals for this season. We made it. " "The disappointment is great. Our mistakes were mainly at the beginning of the season, not today. We played against a good team with a lot of tools on their court. We needed a perfect game to win by the needed margin. We missed a few three-pointers that could have changed everything and we didn’t play defense the way we needed to. We understood that only through overtime we could get the needed margin, so we did what we did. We did not want to get to that situation; it’s not good to see, but we had no choice. "